This powerful husband-wife duo won the 2016 and 2017 Canadian Folk Music Award for Aboriginal Songwriters of the Year for their debut album. At the 2018 Native American Music Awards they won the Folk Album of the Year and Duo of the Year. 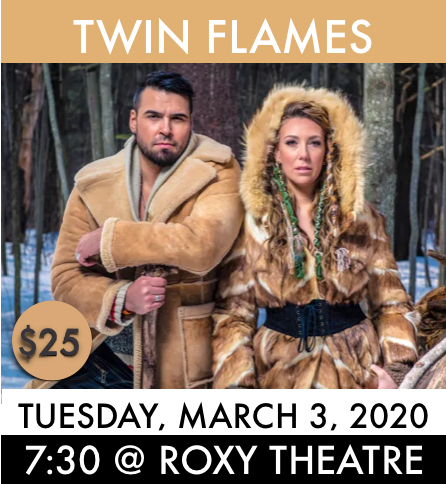 Twin Flames has now played over 800 shows in their short four years with performances that have taken them across Canada, remote Arctic communities, Greenland and The United States. ​Twin Flames takes the audience on a musical journey across Canada and the Arctic. They leave audiences fascinated, intrigued and inspired.